A 2017 survey found that more than 44 million Americans have a side hustle. And, chances are, you’ve heard of a friend or family member who has taken the plunge and started a side gig outside of their standard 9-to-5. You too may have thought about starting a side hustle but, for whatever reasons, have decided it’s not something you have time for or can manage on your own. Before you dismiss side hustling as just not for you, consider these amazing benefits of side hustling. Plus, learn about six easy side hustles you can start today! Before we talk about some benefits of starting a side hustle, let’s look at what exactly a side hustle is. According to Entrepreneur, a side hustle is an activity you do that allows you to make extra cash. A side hustle is something you do in addition to your day job and is often really flexible. Many people use a side hustle to pursue their passions and interests while making a little extra cash. Each side hustle is different. Some may only require a couple of hours of work a month. Others may need a little more daily dedication. Either way, side hustles typically help you earn extra money doing things you enjoy. Money can’t buy you happiness, but starting a side hustle can! Since side hustles are often activities we enjoy doing, many side hustlers report greater feelings of satisfaction. Think how great you’d feel if you could get paid to do something you love? Even if you’re stuck in a job you hate, your side hustle gives you a chance to explore your passions, find purpose, and provide greater meaning. This can put a little extra pep in your step and provide enjoyment you might be missing in your professional life. Who couldn’t use a little extra cash? Whether you would like to save for a rainy day, pay off credit card debt, or simply enjoy the finer things in life, starting a side hustle offers you a chance to make more money. Of course, you get out of a side hustle what you put into it. Some side hustlers just earn enough each month for a little spending cash, and others have used side hustles to pay off student loans! No matter your current situation, a side hustle gives you the chance to improve your financial outlook. The more you put yourself out there, the better your chances of making more connections. When you side hustle, you often get a chance to meet and collaborate with individuals you otherwise would never have interacted with before. And, you never know where your next connection could lead you. In a day and age where your personal network is essential to your professional success, it never hurts to make as many connections as you can. 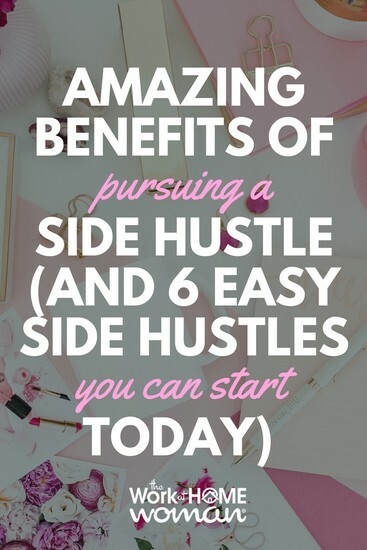 Your side hustle can help you do just that! Nobody likes to think about the prospect of suddenly finding themselves unemployed and without a paycheck. But, the reality is, it can happen to anyone at any time. A recent study found that nearly one-fifth of Americans were laid off over a five-year period. If you have a side hustle in place, you can have a greater sense of financial security knowing that you have money coming in — no matter how small — in the event you find yourself with a pink slip in hand. And, don’t forget about life’s surprises. Unexpected car repairs, housing issues, and medical bills can pop up at any time. Your side hustle cash can help offset these expensive life happenings and keep you afloat when times get tough. Now that we know how beneficial side hustles can be for both your personal and financial well being, you might be eager to start side hustling today. The good news is, you absolutely can start a side hustle today. Here are six beginner-friendly options for the eager side hustler. No matter your interests or knowledge base, you can start a blog! This side hustle is excellent for anyone who enjoys writing and loves to create. Pro bloggers don’t have to be full time. Instead, you can blog on the side and make extra money for sharing your tips, advice, and helpful how-tos online. And, it couldn’t be easier to get started. Follow this step-by-step tutorial to start your blog today. If you’re looking for more of a ready-to-go-out-of-the-box side hustle, consider direct sales. 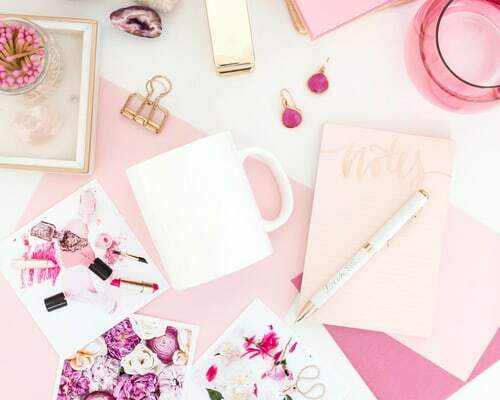 A lot of direct sales companies, like Stella & Dot, have a greater focus on social selling instead of traditional multi-level marketing setups. Additionally, direct sales companies often give you everything you need to start your side hustle right away, from sample products to your very own branded website! Plus, you can follow your interests and find a product that's right for you, whether it’s cooking, fashion, jewelry, or fitness. If you’re not much for writing but still have a hobby or area of expertise you’d like to share with others online, consider podcasting. When you start a podcast, you get the chance to either discuss topics on your own or bring in another person for an interview. From there, you can upload your podcast to popular platforms, like iTunes. A podcast side hustle can be set up quickly and can give you a chance to earn extra money talking about the things you love. Ever dreamed of getting paid to write? Well, you can, even if you have zero professional writing experience. Launch a writing side hustle today by signing up at any number of content mills or other online jobs for writers. Although the pay isn’t always great using these sites, they do offer a quick and convenient way to get paid writing experience under your belt. And this is one side hustle that can quickly turn from an extra money maker to full-time income! Every now and again we could all use a little extra help. And, this is especially true for busy professionals and entrepreneurs. That’s why more and more people are turning to virtual assistants to help them get more done in a day. And, if you’ve always considered yourself a master of to-lists, you too can launch a side hustle as a virtual assistant. A course like 30 Days or Less To Virtual Assistant Success can get you up and running with step-by-step guidance. Whether you’re a maker, creator, or frugal shopper, there are plenty of online platforms you can use to sell your stuff. For example, artists can turn to Etsy to launch a side hustle selling their handmade wares. Savvy shoppers can flip clearance finds for profit on Amazon, and estate sale hunters can sell used goods on eBay for a quick and easy side hustle. Whatever it is you’re interested in or love, you can sell it online for extra cash! Although a side hustle takes up your valuable time and requires effort to get off the ground, the undeniable benefits of starting one often outweigh the cons. Remember, choose a side hustle that interests you. After all, it’s so much easier to stick with a side hustle when you’re getting paid to do something you love. You never know; today’s side hustle can turn into tomorrow’s source of steady income! So glad you enjoyed the article!